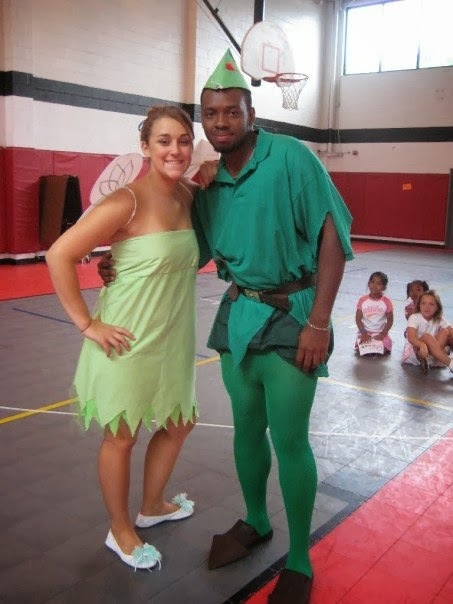 We won't have a Halloween on TBT for a longgg time, so it only makes sense I share these NOW! Many costumes throughout my years... but I so wish I had more pictures in my possession. PS... remember... it's not nice to make fun of someone's weight adjustments. 100% homemade Jasmine costume in 1994! And this says 1994, but it was really like 2002... Britney Spears, duh! 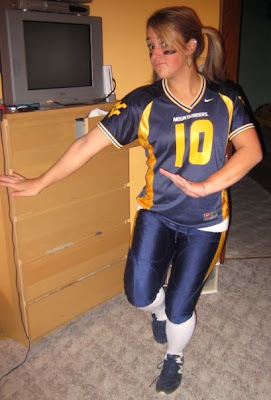 The one time I bought a "slutty" costume... a racergirl... in 2006. Also 2007: Superman... because I really liked "Superman'ing that hoe." Seriously. 2008: Snow White! 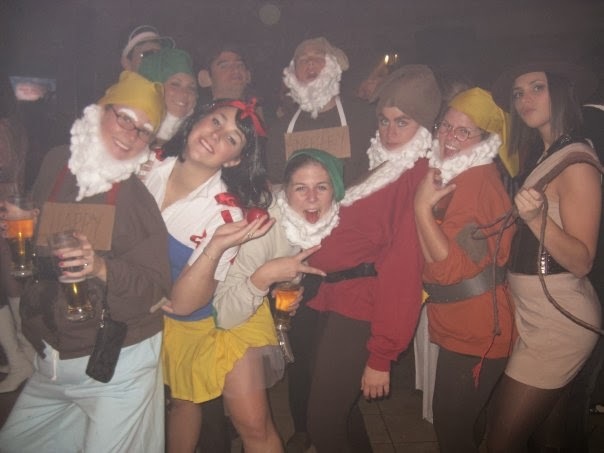 Because there were 7 of my BFF's who lived together and wanted to be the dwarfs. Also 2008: WVU football player! Because I stole some legit game pants from a friend. 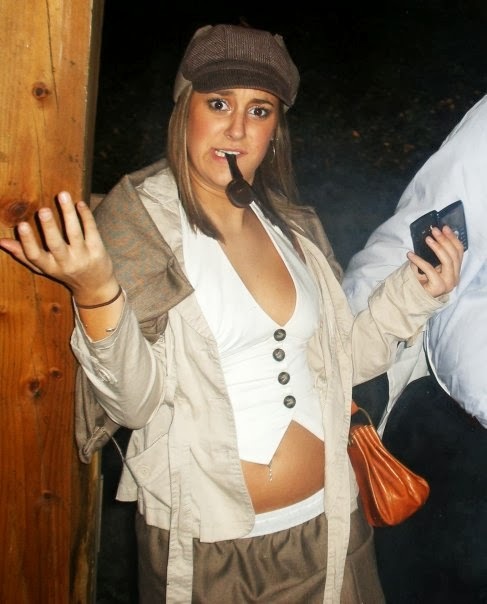 2009: Sherlock Holmes, because I was really enjoying stalking the Real World DC cast. 2010: Twitter Bird, because of the MTV T[witter] J[ockey] competition! 2011: Troll! Because I Love The 90s... even though they clearly didn't only exist in the 90s. 2012: Blue meth, because Breaking Bad was my drug, duh. And this year, I'm Uncle Sam! Once I get better pictures this weekend, I'll post them! Don't forget to tag me in pics of your costume so I can post em!